Wine and Bar Essentials There are 4 products. 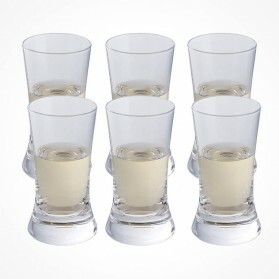 The High-quality Lead-free crystal glasses for any occasional casual drink for wine, beer, brandy, and whisky. Design and produced by Dartington Crystal in the UK. 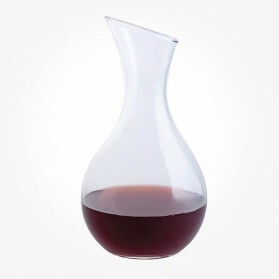 Share and enjoy any drink with friends and family on these wine and bar essentials. 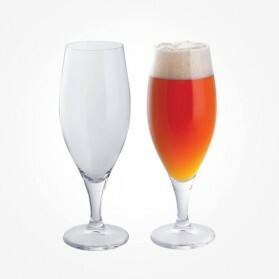 2 crystal glasses Box Set Enjoy a variety of lagers and specialty beers with this tall stemmed beer glass - designed to help beers maintain a good head. It's just the right size for the perfect half pint. Made of lead-free crystal. 2 crystal glasses in a box set It looks great, it feels great. 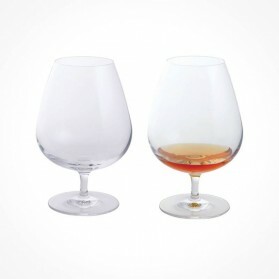 This classic brandy glass is brilliant to use, a must have for the brandy enthusiast that wants to enjoy their drink the traditional way. Made of lead-free crystal.